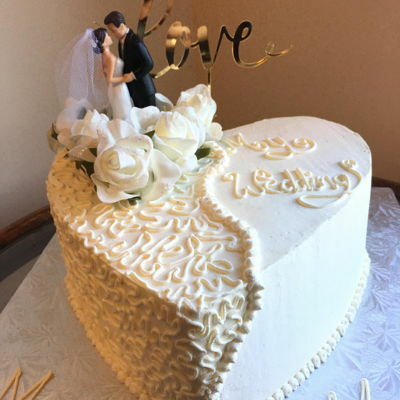 Cornelli lace pipped heart shaped wedding cake. 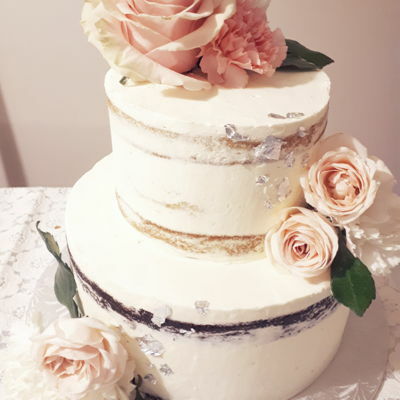 All vanilla ! 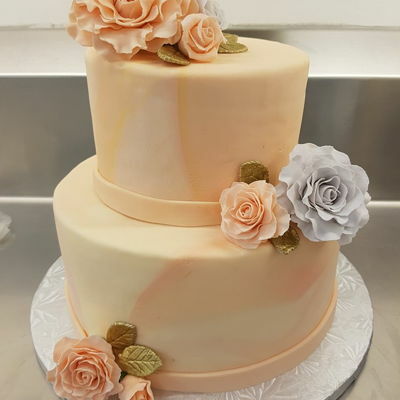 First time working with fondant! and Sugar paste flowers!! 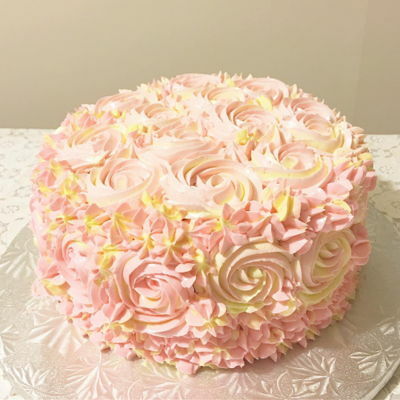 if someone would know which fondant tastes like bubblegum please do, this was amazing to roll out and tasted much better than all the ones I could find. I didn't get to find its name because I used this in school.